Ongoing studies seek to better define the benefit of adding monoclonal antibodies to upfront induction therapy in patients with multiple myeloma. 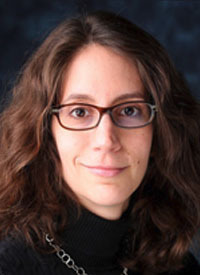 Triplets have quickly replaced doublets in this setting, with the current standard therapy of lenalidomide (Revlimid) plus bortezomib (Velcade) and dexamethasone (RVd) being quite beneficial for newly diagnosed patients, said Sarah Holstein, MD, PhD. However, quadruplet therapy is currently showing promise in clinical trials. An interim safety analysis of daratumumab plus RVd was presented at the 2017 ASH Annual Meeting.2 These safety results concluded that there were no added safety signals with the addition of daratumumab to the triplet. Investigators noted that the overall safety profile was consistent, and enrollment has begun on the main phase of the randomized study. In an interview with OncLive ® during the 2018 Pan Pacific Lymphoma Conference, Holstein, an associate professor at the University of Nebraska Medical Center, discussed these new approaches to induction therapy for patients with myeloma. Holstein: I provided a historical overview of where we have come with respect to induction regimens, dating back to some of the old regimens such as vincristine, doxorubicin, and dexamethasone (VAD) and melphalan. I spoke about how we have moved from doublet to triplet therapies, with the current standard of care being combinations of immunomodulatory drugs and proteasome inhibitors. I then spoke about the newer studies, which are investigating the effects of adding a monoclonal antibody therapy to the triplet. We are now moving into the quadruplet therapy era. I also touched on the role of transplant. What need is aiming to be filled with the introduction of new induction therapies? What are some triplets or quadruplets that are looking most promising? There is a lot of excitement about KRd, which is a triplet of carfilzomib, lenalidomide, and dexamethasone. There is also some interest with lenalidomide, ixazomib (Ninlaro), and dexamethasone in the older patient population as it is an all-oral regimen, which might be well tolerated. We are eagerly awaiting the results of a phase III study that has finished accruing, which compared lenalidomide plus dexamethasone to the triplet of lenalidomide, ixazomib, and dexamethasone to see whether that improved survival outcomes. With respect to the quadruplets, the most interest so far is with adding antibodies such as daratumumab to the backbone of a proteasome inhibitor plus an immunomodulatory agent. This includes daratumumab plus RVd and daratumumab plus KRd. Initial studies are showing very high response rates, but we are going to need the larger studies to see if we are making significant changes in overall survival. In what instance would you use a triplet of quadruplet over a doublet? At this point, I am not using quadruplets outside the context of a clinical trials, because I don't think we are quite there yet. For the majority of my patients, I really try to use a triplet. It is really the patients who are quite elderly or frail who I will sometimes start on a doublet and see how well they can tolerate it. A lot of times, in that case, if I can get them past the first couple of cycles successfully, I will then try to add in that third drug. What would be your takeaway message about induction therapy for patients with myeloma? The current standard of care for all patients at this point in time should be RVd, that there is still a role for upfront transplant for the majority of transplant-eligible patients, and that there is going to be some exciting changes in what the standard of care will be over the next couple of years. The future likely will be quadruplet therapy. Is there any else you would like to highlight? I didn't have time to work it into the talk, but it is still really important to use maintenance therapy posttransplant for patients. There, the current standard of care is lenalidomide, but we are waiting on some exciting data about the use of ixazomib as maintenance therapy. There are also ongoing studies looking at regimens such as lenalidomide plus daratumumab. Maintenance therapy is also going to be changing over the next couple of years. Mateos M-V, DA Meletios, Cavo M, et al. Daratumumab plus bortezomib, melphalan, and prednisone for untreated myeloma. N Engl J Med. 2017;378:518-528. doi: 10.1056/NEJMoa1714678. Voorhees, PM, Costa, LJ, Reeves, B, et al. Interim safety analysis of a phase 2 randomized study of daratumumab (dara), lenalidomide (r), bortezomib (v), and dexamethasone (d; dara-RVd) vs. RVd in patients (pts) with newly diagnosed multiple myeloma (mm) eligible for high‐dose therapy (HDT) and autologous stem cell transplantation (ASCT). Blood. 2017;130:1879. Chari A, Usmani SZ, Krishnan A, et al. Daratumumab (dara) in combination with carfilzomib, lenalidomide, and dexamethasone (KRd) in patients with newly diagnosed multiple myeloma (MMY1001): updated results from an open-label, phase 1b study. Blood. 2017;130:3110.